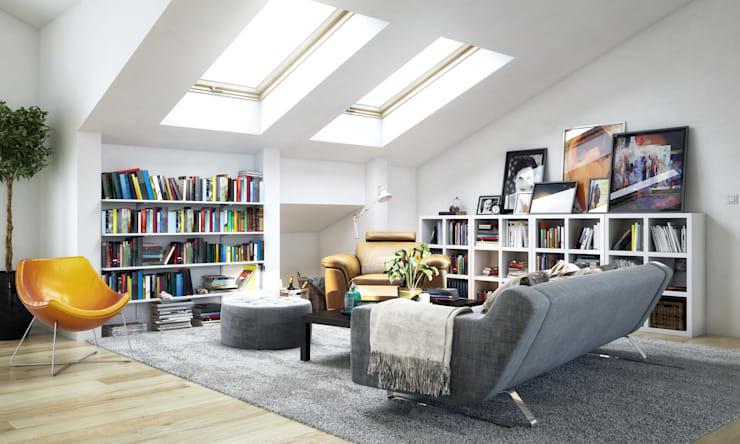 An attic may well be one of the best things that your home can offer you. Often this space is over looked, but if well-used it can be a great ally for day-to-day life. It can give your home a whole extra bedroom or an office space or library! This area of the home can also be used for a hobby of your choice. Yet, we don't often utilise the potential of this space, instead using it for storage. Over time it becomes dark, dingy and dusty. This should not be the case! This is why today at homify, we are bringing you 9 inspiring examples of attics from top professionals from around the world. These will motivate you to recreate and transform your own attic space into a dream room! A living room is a must for any home, especially when it is a space where you can escape to when the house is too full or noisy. This kind of space allows you some time for yourself where you can watch a quiet movie or read your book. You can even have an afternoon nap! Regardless of whether you share a home with a whole family or you live on your own, your bathroom is a very important of your home so why not create a full on bathroom suite in the attic? You can have privacy in this space as well as a unique area where you can truly relax. As we can see in this design, the spacious bathtub allows for romantic baths or relaxing time outs with tons of bubbles. You also have all of the space in the world! 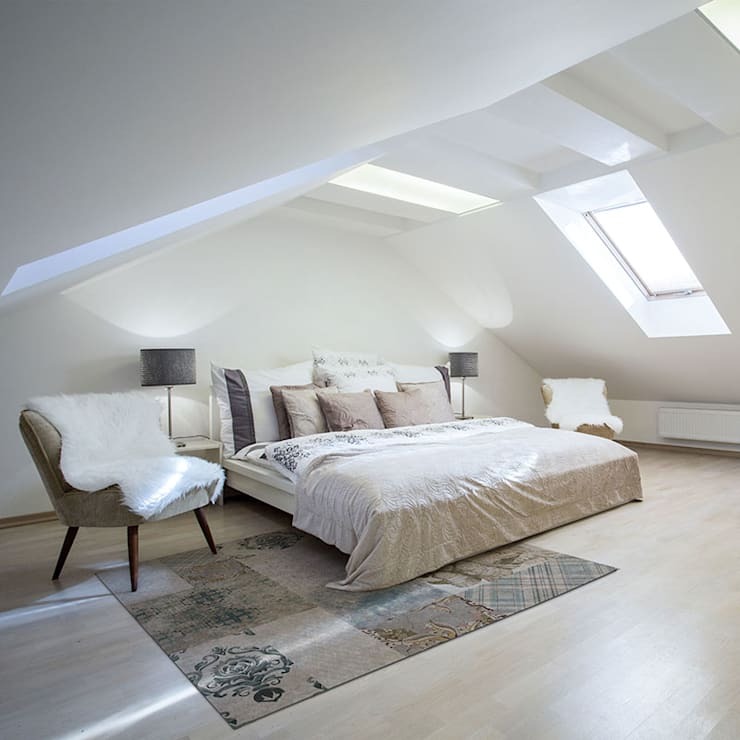 If you've got the space, why not convert your attic into a bedroom for a whole new look and fee! In this image, we can see how it creates a very intimate environment that is light and lovely. 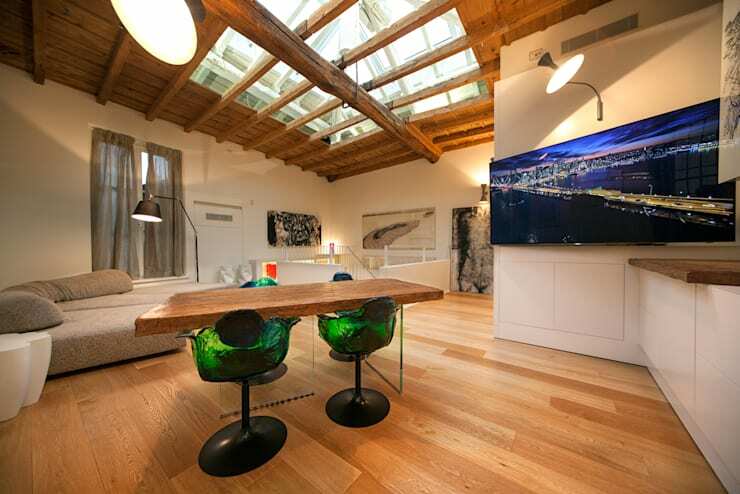 The skylights allow sunshine to flow into the room. Move your bedroom to the top floor of your home and you won't regret it! Even if you have a small apartment, a room is a room. 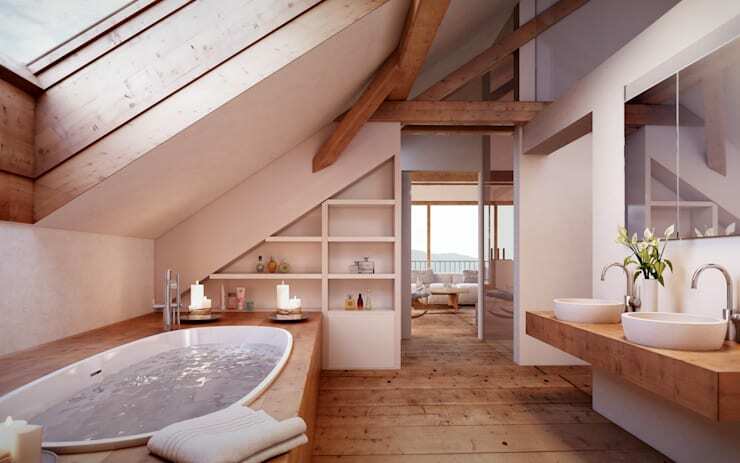 However, an attic allows you to create a different and interesting space. For younger people, vivid colours can prevail, without a worry of overwhelming the space. Pair colourful chairs with bright artwork. Again, don't forget to make the most of natural light! 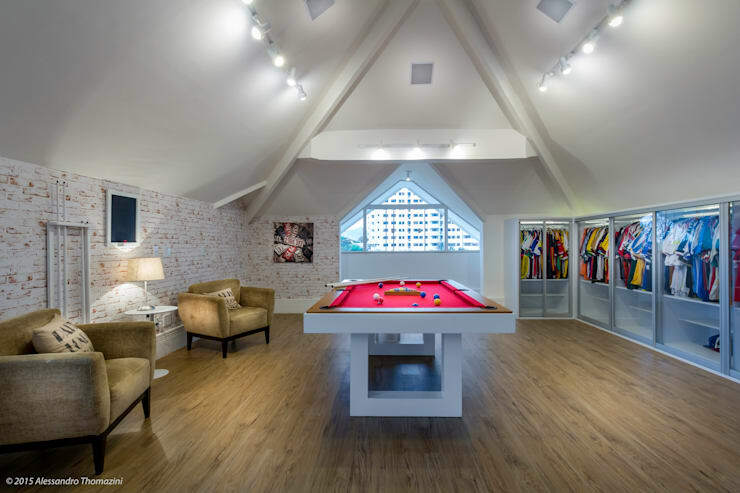 A games room can be the gem of a home. Install a pool table, table tennis or board games and you can create a dream space for lovers of a bit of fun and social interaction. If your attic is going unused, this is a modern and savvy way to entertain your guests without disturbing the living room! You can also afford to get a little bit creative with the colours and design. 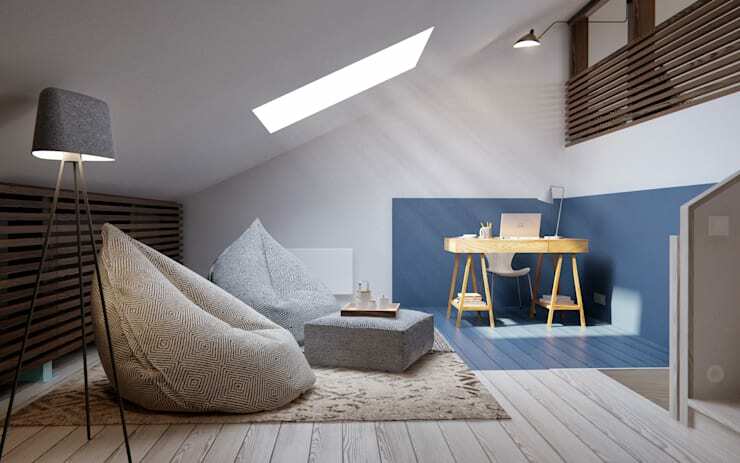 Whether it's to do work or for relaxing after a tiring day, your attic needs a few vital things: artificial light, comfortable seating and a side table. A desk is also essential if you want to use this area for working. If this space is just going to be used for enjoying a glass of wine or a cup of tea, you may want to invest in some cushy chairs or a cosy sofa. 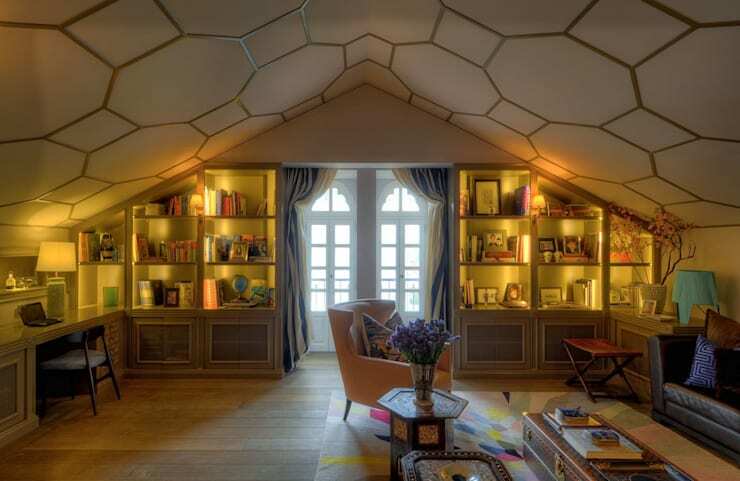 If you are a book worm, an attic is the perfect area to convert into a library. Look how cosy and special this space is! An attic is at the top of a building right? So why not enjoy the fantastic views from the windows up here? Opt for large and expansive windows or even a balcony! To have a good studio floor does not mean that you need a huge space. 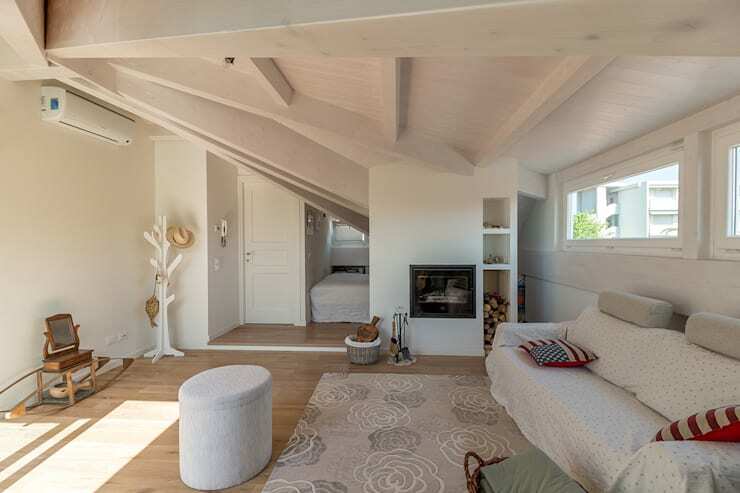 Know how to make the most of your existing attic space, creating the perfect living area for your eldest child or for a short or long term rental. Make the most of the ceiling to create an edgy design and go for an open plan design so that you don't cramp the area. Walls will just make the area look claustrophobic. 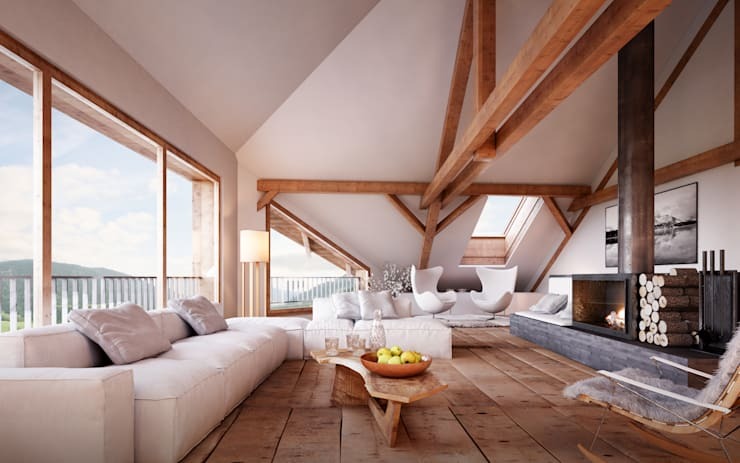 Also have a look at these top tips for your attic space for more inspiration. Which is your favourite attic?